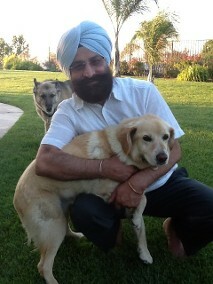 Dr. Randhawa has been practicing in the field of veterinary medicine for the last 26 years. He is a graduate of G. B. Pant University of Agricultural and Technology (India). He received his DVM License and started his doctorate at Alessandro Animal Hospital. 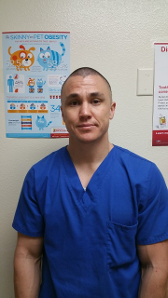 He currently owns Alessandro Animal Hospital and is committed to the advancement of veterinary medicine and the community for which he has spent so many years serving. 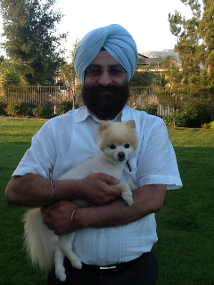 Dr. Randhawa is a member in good standing of the Moreno Valley Chamber of Commerce, California Veterinary Medical Association and the Orange Belt Veterinary Medical Association. 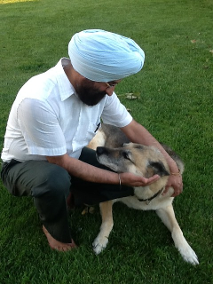 In his leisure time Dr. Randhawa likes traveling, meeting new friends and spending time with family, friends and his three dogs: Tiger a Shepard dog, Junior a Pomeranian dog and Sugar a lovable mutt. Dr. Lucy Edens, D.V. M.
I have been working for Alessandro Animal Hospital for 5 years, and I love the bond we create with our patients. We provide knowledge and support to our clients so they can give the best care to their furry friends. I love animals and have made it my goal to get my education in animal health so I can continue gaining knowledge and share my learning's with future pet owners. 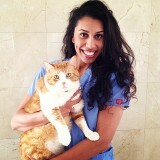 I have worked alongside Dr. Randhawa as an employee at Alessandro Animal Hospital for five years. In doing so my love for animals has only strengthened, which has encouraged me to continue towards a degree in animal health. Each day I enjoy the new and exciting experience at our hospital; It's rewarding to see our clients smile from the care their pets receive while visiting us. I am truly blessed to be able to learn from some of the best doctors and only want to continue to pass on what I have been taught. My name is Diane Romero. 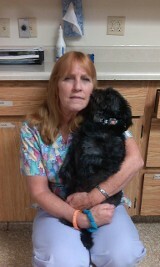 I have been working at Alessandro Animal Hospital for 5 years. I have learned so much from Doctor Randhawa and the staff here. He deeply cares about his clients and their animals, as well as his staff. If you are looking for a good veterinarian clinic, Alessandro Animal Hospital is a wonderful place to go. 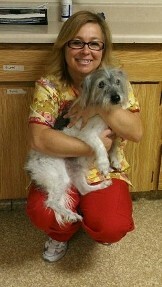 Hi, my name is Sue and this is Corey, my 14 year old terrier rescued here at the hospital. 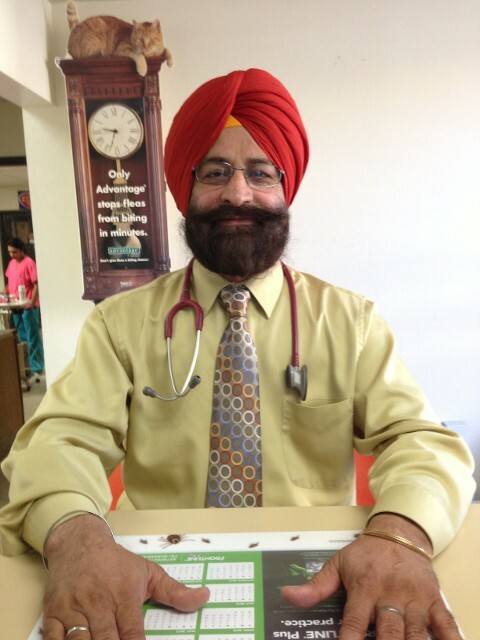 I have been working with Dr. Randhawa for 20 years and counting. I really enjoy the clients but especially the animals. My hobbies include hand-raising any type of animal, including: pigs, squirrels and birds. I have been happily married for 26 years. I have a son in the United States Air Force and a daughter the currently works here. 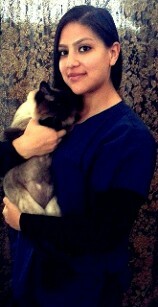 I have been working for Alessandro Animal Hospital since July 2006 and enjoy working with cats, dogs, and our clients. 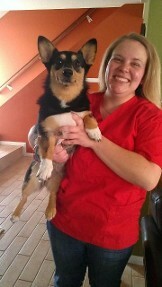 Caring for pets is a what makes my job enjoyable and rewarding. I've always been a caring person, interested in medicine and science. I love applying what I learn to better the life of our client’s pets and my Pit bull, Grace. When I’m not at work, I’m at the gym exercising and maintaining my health. I love learning new things, from animal science to human science.